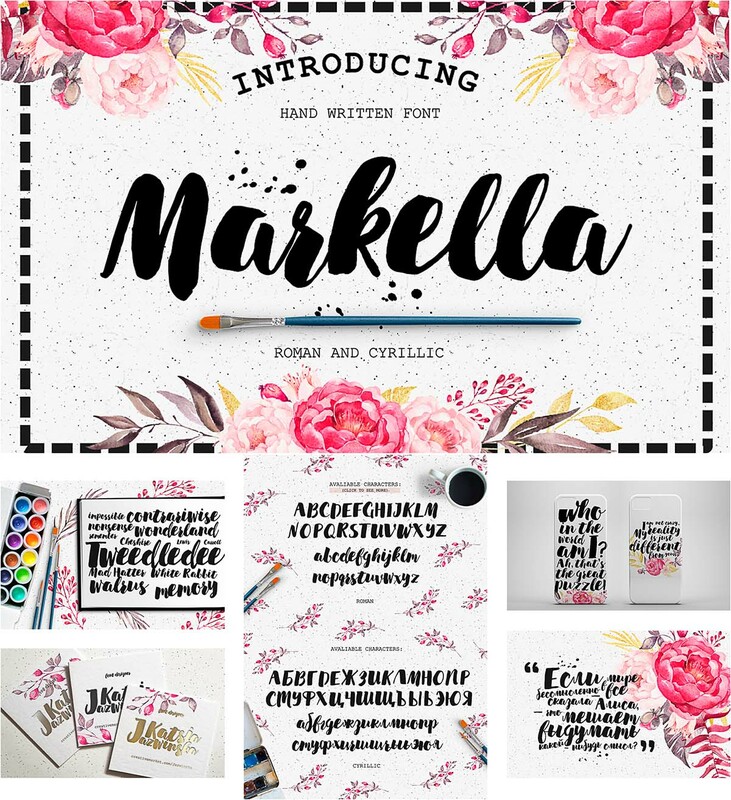 Markella is a hand-made brush font, including roman and cyrillic typefaces. For personal use only. File format: .ttf, .otf, .woff, .eot for Photoshop or other vector software. 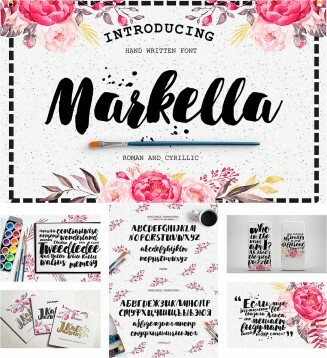 Tags: calligraphy, calligraphy font, cyrillic, font, hand drawn, handwritten, script, typeface, typography.